Without experience and practice it’s difficult to challenge the numbers in a property offering memorandum. How do you know if the income is correct? Expenses can seem pretty straight forward—but are they? Don’t overlook the fact that you may have to pay for major capital improvements from day one of ownership. You might also have to pay for general repairs and unit turn costs. Under the current ownership the rental market may have changed. You might inherit rental units that can’t compete with the market without major upgrades and repairs. It’s extremely important to know if market rents and expectations have adjusted. Sometimes a buyer will discover, especially in a slow rental market, that renter’s expectations have risen. Prospective renters will demand nicer rental units and amenities for their dollar. It might be necessary to bring newly vacant units up to market expectations to attract qualified residents. In a hot market, with plenty of new construction, discerning residents will demand the latest and hottest amenities. You might also have to finance repairs to major building systems. For example a property that has poor drainage systems will continue to deteriorate without immediate upgrades to roofs, sidewalks and parking surfaces. Buyers of multifamily properties love to look for opportunities to raise the current rents. Not so fast. Before getting too excited by the prospect of raising rents you must first decide if the current rental rates are truly at market. For example, if a seller has offered concessions to their current residents you must take those concessions into consideration when calculating income. A concession could be a discounted rent given as a signing bonus such as free rent for the first or last month. The owner may have included free utilities. They may have waived payment of the security deposit. You can also uncover other hidden issues. A seller might have high collection problems with their current residents—a problem that will become yours if you buy the property. And as dishonest as it may seem, some buyers will fill a property with residents who are not properly screened to reach 100% occupancy just before the sale of the property. When analyzing property historical financials, it’s critical that you confirm all expenses when possible. The property taxes and insurance rates paid by the current owner will not necessarily be the same under new ownership. Check with commercial property insurance carriers and shop new rates. A simple call to the local treasury division can answer your question about potential property tax rate increases and will confirm the amount the seller listed in her/her financials. You might also discover that the current property taxes are in arrears—there may even be a tax lien on the property. Good to know. Before purchasing a multifamily property you must verify utility expenses. Contact all utility companies and find out what the utility costs have been for at least one year. Pest control can also be a critical cost to investigate. As a general rule of thumb, use a 35-45% expense ratio (the percentage of the property income used to pay expenses excluding debt service) when analyzing older apartment buildings and multifamily properties. Why is the seller really selling? Did you ask? Don’t stop after asking this question one time. Ask it as many times as necessary to get to the real reason. Sometimes simply rephrasing the question can get results. A highly motivated seller might negotiate price and terms. Or give you a credit for needed repairs—an agreed upon amount that you can deduct from the purchase price. What does the property mean to them? An inherited property for example represents a huge payout to the seller. They are not emotionally attached to the property nor have they contributed financially to capital expenditures. They are less interested in recouping money spent than they are in a windfall at the closing table. Take a look at all current tenant leases and pay special attention to lease expiration dates. 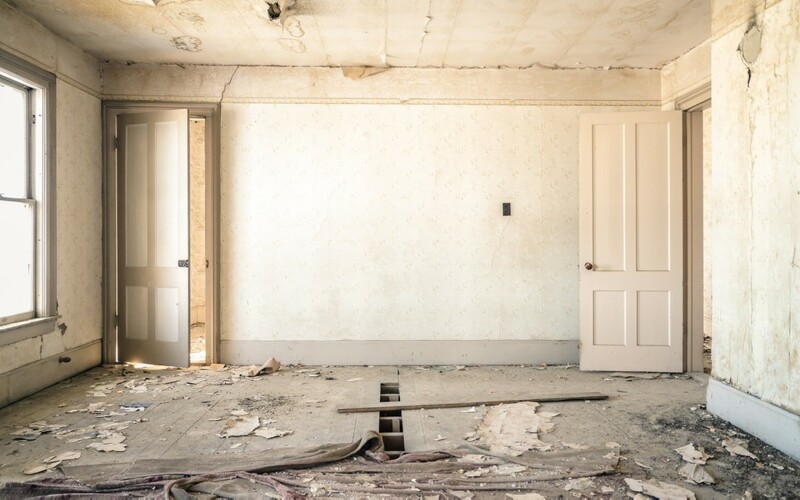 You may be forced to complete expensive unit turns for each new vacancy—especially when a property has significant deferred maintenance. The cost of unit turns can escalate overnight. You might also find hidden problems within the community. I’ve seen buildings where the tenants run the property and the property management company has lost all control. There’s nothing worse than a mass exodus from a property, which can happen under a management change. If you introduce new community rules and regulations like tighter rent collection policies, you can expect to lose tenants. You might also decide to implement stricter tenant qualification guidelines for all lease renewals which can create new vacancies—and more unit turn costs. Before making an offer on a multifamily property you must examine all income and expenses presented by both the seller and the commercial broker. If you are light on experience get someone on your side who has experience analyzing multifamily properties—someone who is unbiased and doesn’t stand to gain financially from the buy/sell transaction. If you find yourself wondering if a deal is good or not don’t do the deal without pursuing expert consultation. So you know, I offer multifamily deal analysis consultations. Interested in learning more? My wife and I are considering investing for the first time in a multifamily unit in Tampa, Florida. I have read a good amount of information to feel knowledgeable about the subject. How ever I would like to have a consultant available for our first deal. Love your idea and commitment to having an experienced team around you! Have you tried to connect with professionals in the MFH industry via organizations such as the National Real Estate Investors Association (NAREI) and the National Apartment Association (NAA)? I know this response is late – but wanted to see if you went forward with your purchase of an apartment property? I’m not in your area, but have purchased apartment complexes in Canada and the US and can share some of the lessons I’ve learned. Depending on the size of property you’re looking to buy, will determine the type of property management company you go after. Regarding your question on ‘team’ you’d like to surround yourself with. You’re on the right track in finding the right professionals to help you with your acquisition. My experience in commercial real estate (CRE) -as buyer and agent – is that new investors are sometimes not taken as seriously by agents/service providers. I do not take this approach, as some of my best clients are individuals who don’t have experience investing in CRE. What I would do, if I was starting cold, is make calls to more junior agents on a good team. They have the most to prove and are hungry to show their team leads they can generate business. Show you have a plan and understand CRE (proof of funds for downpayment is good. Not saying you need to show it, but having it available is key). Interview the juniors (3-5 years experience). Make sure they are not showing you just crappy deals. They will test you and often, show you less desirable deals no one wants. Don’t take it personally, it happens. I could go on, but once you find an agent you like and trust- they should have a solid team of Mortgage brokers, lawyers, appraisers, property managers etc. Find people who are focused in multifamily. As they will have relationships with those you will want on your team. Thanks for your excellent suggestions, Shane!